A multi-day sea kayak tour into Desolation Sound is not just for adults. Every year we bring families – sometimes with children as young as 4 or 5 – out on our multi-day day camping tours into Desolation Sound, and such trips are incredibly rewarding for parents, kids, and guides alike. A family sea kayak tour is fun, educational, stimulating, and surprisingly relaxing for parents who wish to have their children experience and explore the wonder of Desolation Sound and the great outdoors in a safe and controlled way. We take care of the details, so start planning your family sea kayak vacation to Desolation Sound today! Family vacations rarely satisfy every member of the clan – what’s heaven to parents is often boring to children, and a kid’s idea of a great time rarely stimulates their parents intellectually or emotionally. Sea kayaking the warm, relatively calm waters of Desolation Sound however, offers many things to everyone. There are endless opportunities for rest, relaxation, exploration, exercise, and even a little pampering after a full day of adventure! Our family kayak tours are designed to be flexible and empowering, with more custom routes and itineraries depending on the abilities and ages of the kids, and of the parents as well. Whether paddling through island chains, combing the beach for invertebrates, swimming in warm freshwater lakes, hiking on forest trails or relaxing and enjoying the sunset after dinner, Desolation Sound has something for everyone. 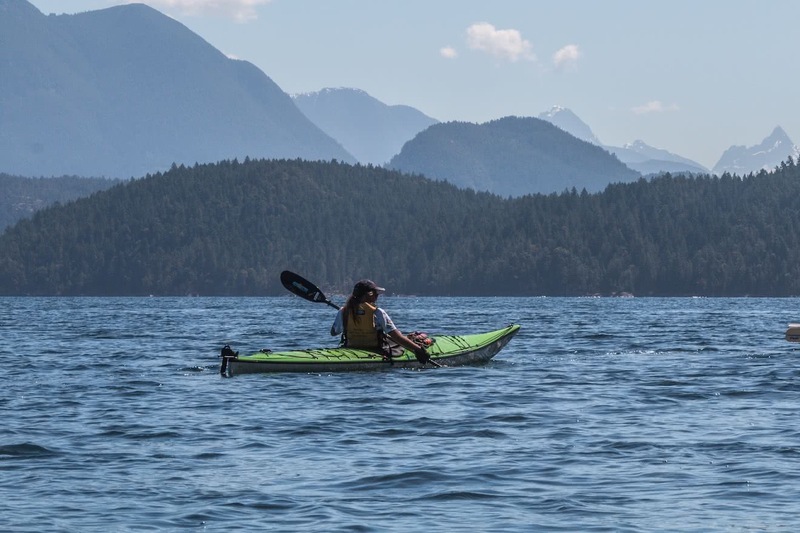 The hands-on, active nature of a Desolation Sound kayak tour offers unparalleled opportunity for young, eager minds to explore a world they might not be aware existed. Imagine the look of wonder and excitement on your child’s face when your guide reaches into the water below their kayak and pulls up a 20 armed Sunflower Star, or a massive spiny Red Sea Urchin, or an alien looking Pacific Sea Cucumber, right before their eyes! Our guides are extremely knowledgable about the Desolation Sound area and all the creatures (human and otherwise) that have inhabited this area for thousands of years. Learn about the area as you discover it for yourself – from tiny crustaceans to humongous whales, from ancient ice ages to the present day, from pioneering loggers and hippie draft dodgers to the first inhabitants of this land 10 000 years past. The wilderness, and Desolation Sound, provides incredible learning opportunities for all ages, and will keep young minds engaged long after you have returned home. Family kayak tours are not just for the kids, however! We understand the pressures associated with planning and executing a family vacation. Our guided tours are therefore designed to take the stress and hassle out of the most pressing kayaking concerns: the food, the route, the planning, and the safety. Our guides are all certified professionals, passionate about the outdoors, and darn good cooks as well! After a good active day or paddling and exploring, how does a tall glass of wine on a rocky bluff overlooking the ocean sound? Now how about if your guides are preparing a three course meal while your kids are swimming and laughing in the bay below? And after dinner, well, dessert of course, and a beautiful sunset as well? Our family kayak vacations really do aim to provide the best of both worlds for adults and kids alike. So skip the long lines of Disneyland this summer, give your typical car camping a year off, and book a tour exploring Desolation Sound. 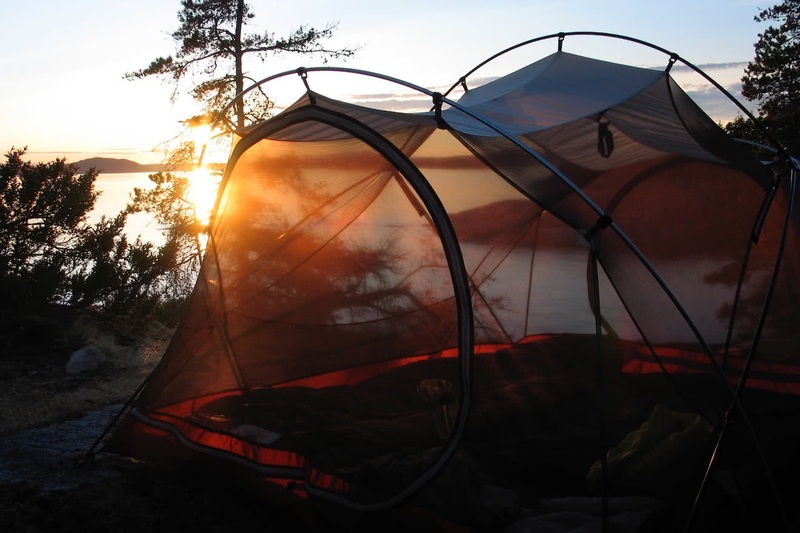 At Powell River Sea Kayak we know the Desolation Sound area better than anyone else, and this includes the best campsites in out of the way places. While some of our kayaking guests like the idea of breaking camp every morning and discovering new places and islands to sleep each night, we understand that younger families often prefer the advantages of base camps from which the group can radiate each morning in a different direction, returning in the afternoon to an established ‘home away from home’. Every group is unique, and it is for this reason that none of our kayak tours, from family groups to experienced paddlers, have routes or camps set in stone. Weather, sea conditions, and above all group preference and dynamic often shape our intentions and a flexibility and deep knowledge of the area allow us to cater our tours to almost every whim. Family groups with younger children also tend to value time on land as much as time on the water, and shorter paddling time or routes with smaller crossings may be required and appreciated by parents and children alike. There are of course exceptions to this: weather for instance can make certain routes and campsites unsafe or very uncomfortable, and can sometimes cause necessary changes in plans that don’t seem obvious at first glance. One example might be pushing on to a campsite instead of stopping for a break if there is a strong wind expected, causing slight discomfort in the short term for much greater comfort later in the day. Our guides are trained to value the safety and comfort of our guests above all else, and work tirelessly day and night to ensure your family kayak vacation is fun, relaxing, and above all safe. There are, of course, unique challenges that arise when planning and executing a wilderness-based guided kayak tour for families, from risk management issues to menu planning to group dynamics and more. If you are interested in taking your family on a guided tour with Powell River Sea Kayak, please read the following information to understand the issues we consider when planning such a tour. Even without family groups, we endeavour to ensure that the group dynamic between various parties on a multi-day kayak tour is such that every guest has similar trip intentions and expectations. When kids are added to the equation, this issue takes on an even greater significance. The majority of our guided trips are relaxed in nature and not overly strenuous for our guests. In these circumstances, older children – teenagers for instance – are often more than capable of handling the efforts required to keep ‘up to speed’ with the rest of the group, particularly if we have a couple of double kayaks with us that can be shared amongst the group as people tire. From experience, younger children (5-12) however don’t quite have the stamina or patience to continually paddle for 2-3 hours at a time, and these groups do inevitably move slower than the average pace on our tours. Even if you have a strong parent paddling with a child in a double kayak, after a short amount of time most children in this age range are merely along for the ride! As such we need to carefully plan tours with younger children. Private tours with 2 or more families of similar ages (family friends, for instance) are a great way to ensure the group dynamic is positive from beginning to end. If you are a single family group looking to do a family kayak tour into Desolation Sound and have kids less than 12 years of age, please contact us before you book to discuss all the possibilities. Powell River Sea Kayak strives to provide incredible meals for all our guests in a wilderness setting – and sea kayak tours provide a certain amount of luxury regarding the amount of gear we can take along with us, compared to say, a backpacking trip. While many children are great eaters, others can be picky. We understand this! However, it is not practically possible for our guides to plan and purchase entirely separate meals for particularly picky eaters. We create tasty meals in the wilderness based on a set menu on 2 burner Coleman stoves and limited kitchen wear, but our options for deviating too far from this menu are somewhat limited. We will definitely be prepared for more common eventualities, and our guides are great at modifying recipes slightly to accommodate children’s tastes on the fly, however this is limited to the menu we are following on that given day. While we may be considered masters at camp cooking, it is still ‘camp cooking’, and we do not have the luxuries of long counters, refrigeration, and other common kitchen tools at our disposal. Finally, it is important to understand that while our guides are fantastic cooks, instructors, educators and genuinely just incredible people, they do not have the time or ability to act as parents as well. While we will always do our best to facilitate a safe environment of learning and relaxation, the responsibilities of child behaviour and supervision ultimately still rests with the parents. This is especially important around camp, as the guides will often be busy cooking, cleaning, setting up and taking down gear and equipment, and many other tasks that mean they cannot always be keeping an eye on excited and unwatched children. As tempting as it may be to completely disentangle yourself for a while, the parents need to set the boundaries, not the guides! 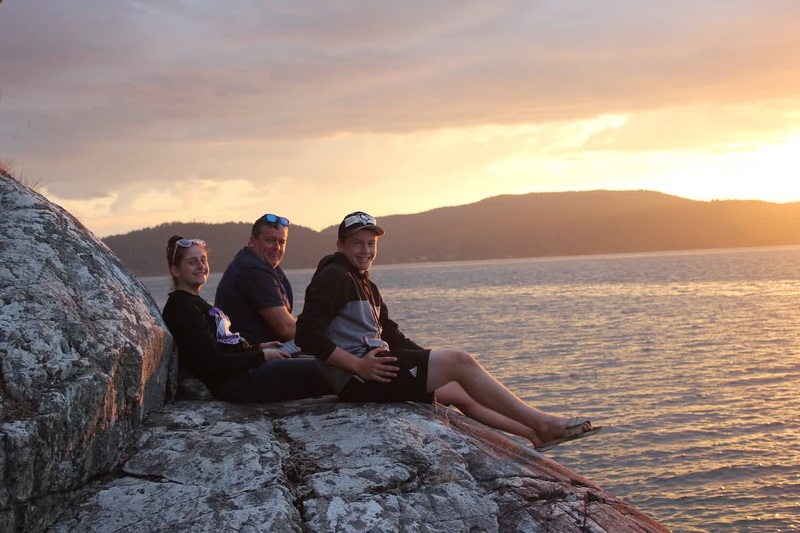 If you wish to book a family tour, you can read up on our Desolation Sound camping tours in general, or go directly to our booking page to check availability and make your booking online. If you have children less than 12 years of age, or wish to discuss something further with us before you book, please email us at: info@bcseakayak.com or call us at 604-483-2160. Powell River Sea Kayak Ltd.